Here I have available stainless steel floor blanks for the rear footwells of your 205. 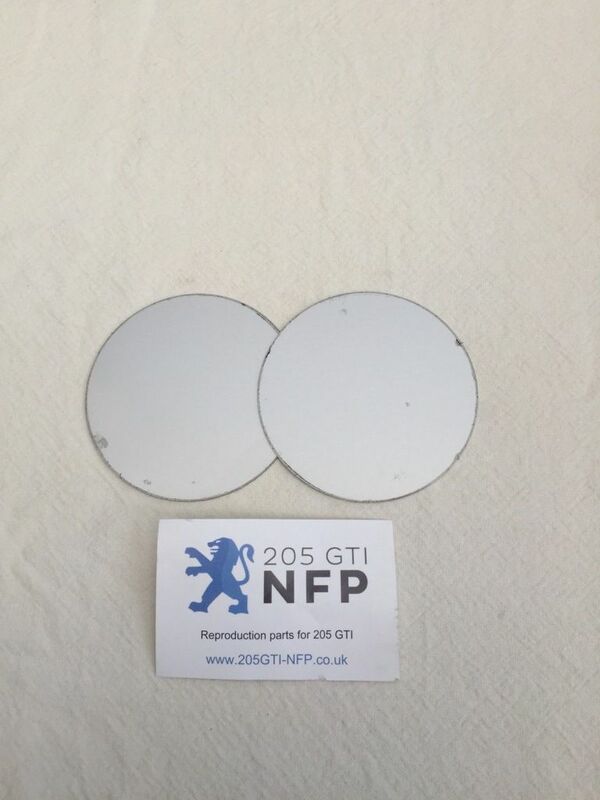 Nothing fancy here just a pair of plain round discs for you to bond in place with Tiger Seal or similar. Made to the same outer dimensions as the standard Peugeot offering which is often rotten now. Please note one side is bare finish as shown, the other side may have scratches or spatter from the laser cutting process. Supplied as 1 pair e.g enough for 1 car.